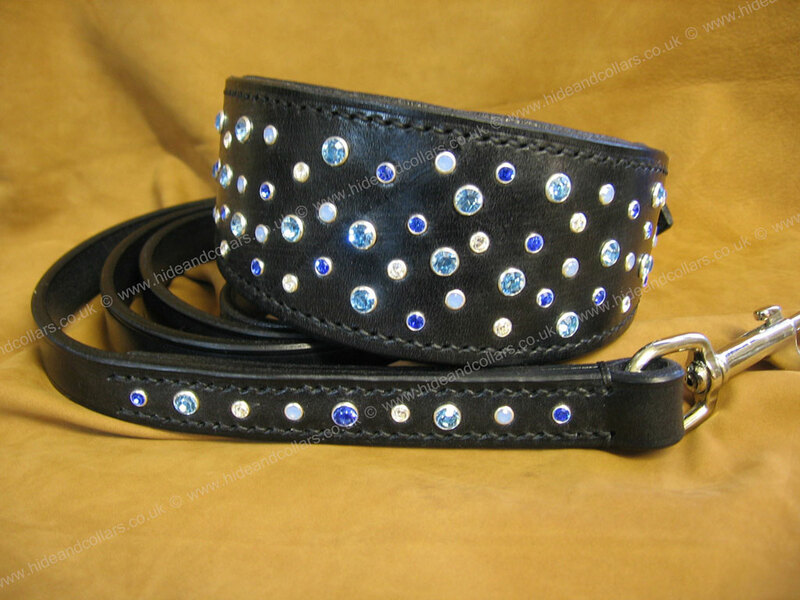 Black collar lined with soft black leather, dressed with Real Swarovski Crystals in, Air Blur Opal, Clear, Aquamarine, Sapphire. Chrome fittings. Matching decorated lead 19mm, 122cm long.